I’ve been working on a new plugin for Easy Digital Downloads called EDD Metrics, it’s now released on the WordPress plugin repository. 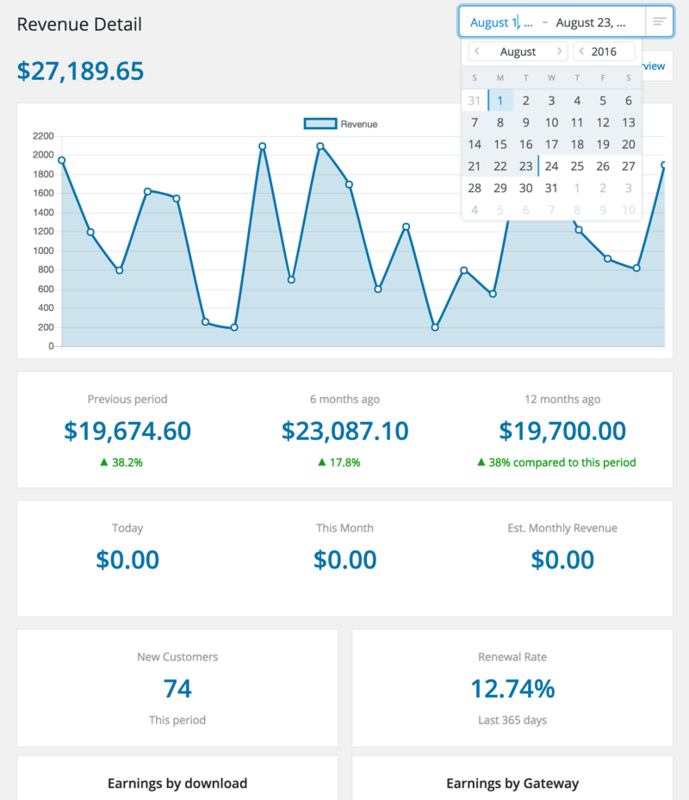 This plugin gives you valuable metrics on your business with comparisons to previous periods. If you are familiar with Baremetrics, this is basically a copy of that. 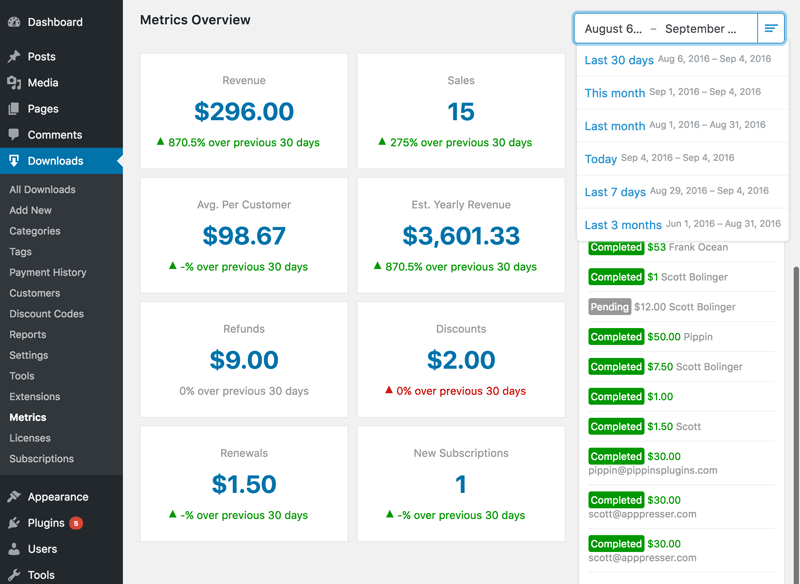 I love Baremetrics, but it just doesn’t work for the type of business I have. WordPress based businesses like mine use a mix of payment gateways, recurring and one-time payments, discounts, renewals, and more. The gateway itself does not provide enough details to get the metrics I wanted, you have to get those from EDD itself. To use EDD Metrics, login to your WordPress admin area, go to Plugins->Add New, and search for EDD Metrics. You can also download straight from the repo here. Find the metrics under the Downloads side menu, under Metrics. If you find any bugs, please report them on Github here, not on wordpress.org. Also feel free to contribute! Here’s a couple of animated gifs if you want to see it in action. Have fun, post issues on Github, and share on Twitter! It offers great insights on some key metrics for every WordPress product business. Personally I’m found of the “Earnings by downloads” graph, as well as the “avg per customer” amount. I’ll make sure to leave a review on wp.org as well. I’m excited to try this. Was expecting to pay for it. Renewal Rate should be interesting to watch for anybody moving to a subscription model for licenses. Thanks for this!